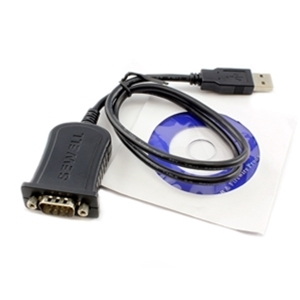 Communication Adapter Cable - RS-232 to USB - DB-9 Male to USB Type A Male. For use with BC Biomedical equipment with RS-232 serial port (DB-9 connector), when connecting to a computer that does not have a DB-9 serial port. It will directly link the equipment to the computer's USB serial port and convert all of the signals from RS-232 to USB. Includes CD with software drivers.